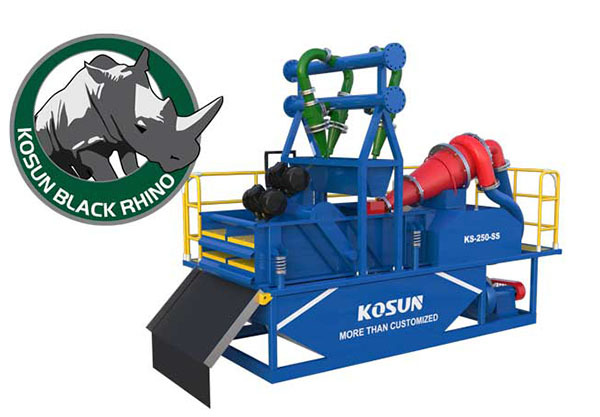 KOSUN is committed to providing customers with one-stop environmental treatment technologies and services in the above fields, thus really realizing energy conservation and emission reduction. 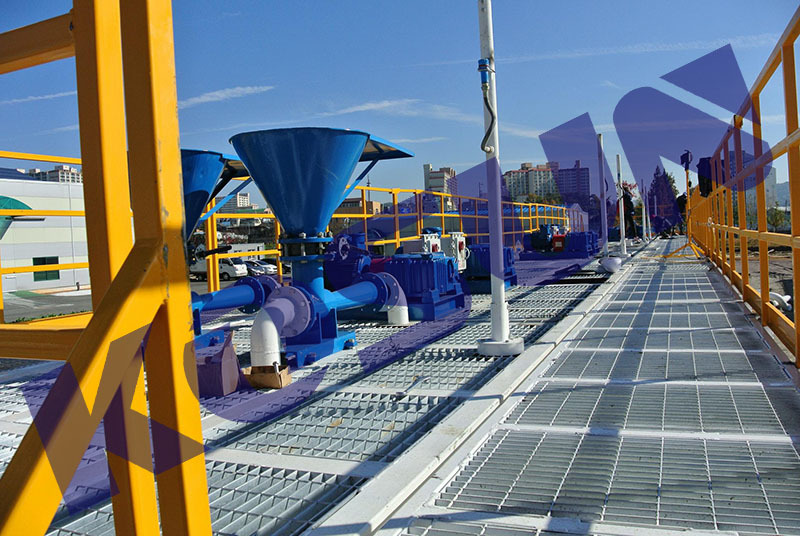 After the engineering mud is treated by KOSUN Slurry Management System, the dried solids can be up to the standard of landfilling or carrying away, and the mud can be recycled or the clean liquid is directly discharged. With the development of the city, construction mud treatment is becoming into a big problem. If the untreated construction mud is poured directly into the farmland, it will destroy the acid-base balance of the soil, which will cause the land to be unable to cultivate. If it is discharged into the river, it will cause very serious water pollution. How to treatment construction mud? As the technology progresses,to treatment the construction mud, there is conventional sedimentation tank and treated mechanical equipment. Sedimentation tanks is large investment, covering is large. 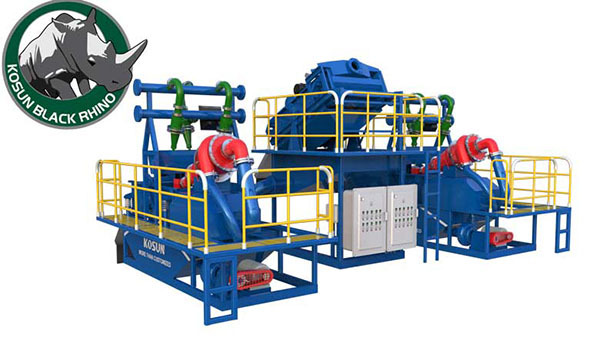 The use of mechanical means to invest a certain amount of money to purchase equipment, common construction mud treatment equipment, including mud dewatering vibrating sieve, desander, desilter, decanter centrifuge, and the use of Construction Slurry Management Equipment really have a good results. 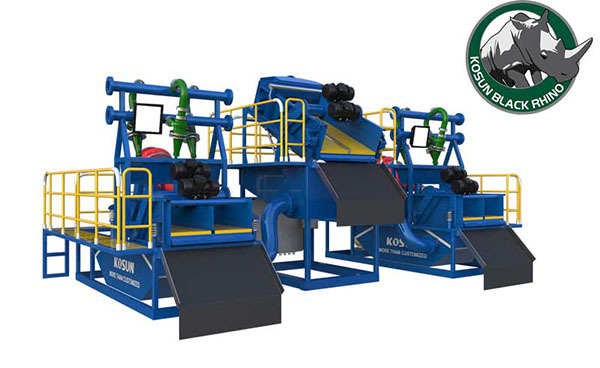 KD Series Mud Treatment system mainly consists of scalping shaker module,desanding module and desilting module.As a pre-screener, the scalping shaker can remove coarse particles from mud.The desanding module is equipped with desander (primary cyclones) and fine-mesh shaker and mainly removes granulated sand.The desilting module is equipped with desilter (secondary cyclones) and can conduct a fine separation selectively according to the field needs of customers.Mud closed-loop circulating purification mode and lower water content in slags help reduce the environmental pollution. 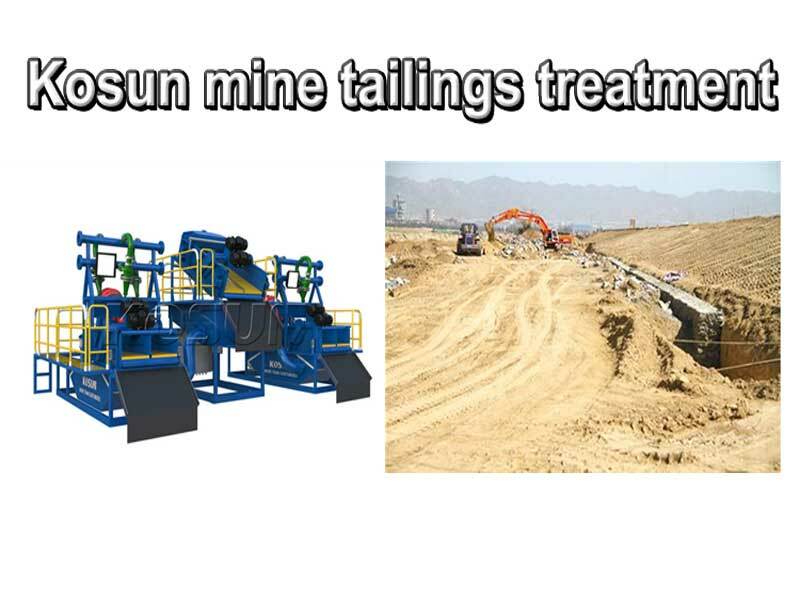 After the Construction Mud is treated by KOSUN Mud Treatment system, the dried solids can be up to the standard of landfilling or carrying away, and the mud can be recycled or the clean liquid is directly discharged. 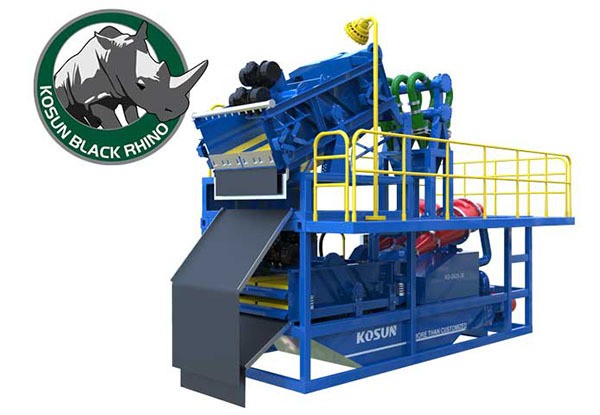 KOSUN is committed to providing customers with one-stop environmental treatment technologies and services in the above eight fields, thus really realizing energy conservation and emission reduction. KOSUN green slurry separation,slurry management system is a modular system construction. It is designed for the treatment of all kinds of slurries and mud used in common construction techniques. KD Series slurry separation,slurry management system mainly consists of scalping shaker module,desanding module and desilting module.As a pre-screener, the scalping shaker can remove coarse particles from mud.The desanding module is equipped with desander (primary cyclones) and fine-mesh shaker and mainly removes granulated sand.The desilting module is equipped with desilter (secondary cyclones) and can conduct a fine separation selectively according to the field needs of customers.Mud closed-loop circulating purification mode and lower water content in slags help reduce the environmental pollution. Wear parts of the slurry separation,slurry management system are of anti-corrosion and wear-resistance, long service life and low failure rate, and the system can be suitable for various severe working conditions. KOSUN is committed to providing customers with one-stop environmental treatment technologies and services in the above six fields, thus really realizing energy conservation and emission reduction. 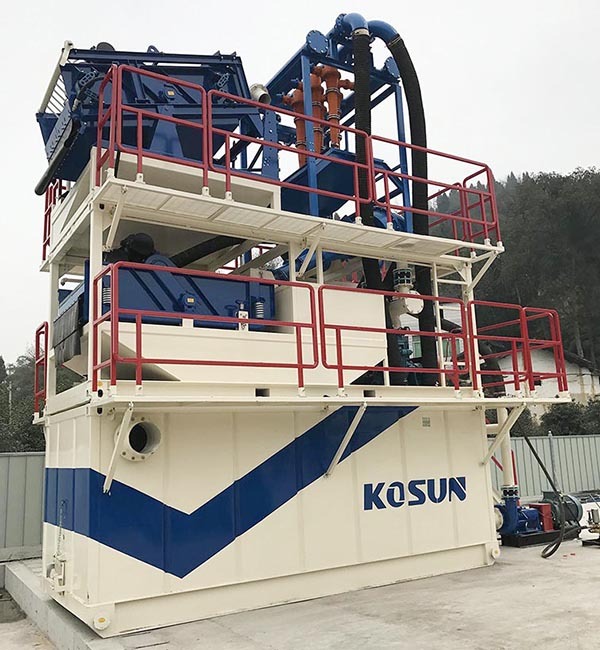 Green Mud Separation System Expert-KOSUN:With the acceleration of the modernization process, urban integration has gradually become a major trend, a variety of urban infrastructure develop rapidly, but the attendant construction mud treatment has become a big problem which can not be ignored. National governments at all levels attach great importance to the construction mud treatment problems, and have already introducted relevant environmental laws and regulations focused on the construction mud treatment. However,Less of companies are able to use newest processing methods in construction mud treatment (or piling mud treatment, pile foundation mud treatment) due to various technical and personnel issues. 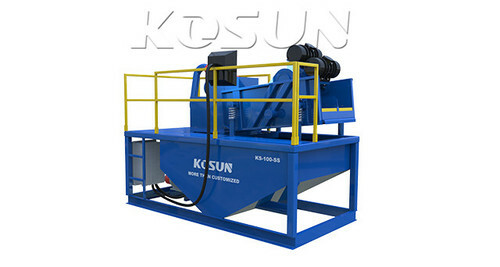 Under the circumstances, KOSUN developed a set of green mud separation system for construction mud treatment. 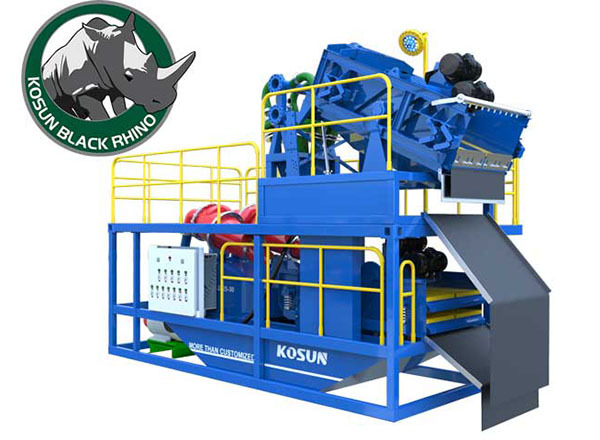 KOUSN is a professional manufacturer engaged in R & D environmental protection related machinery, according to the latest international case, with reference to domestic and international first-line equipment, developed a variety of construction mud treatment system, and the actual test is very successful, through the principle of physical separation, the mud is separated, and finally the water and the solid phase in the mud are separated. The water can be recycled at the site and the resulting solid particles can be used for paving or joining the construction site to be recycled again. 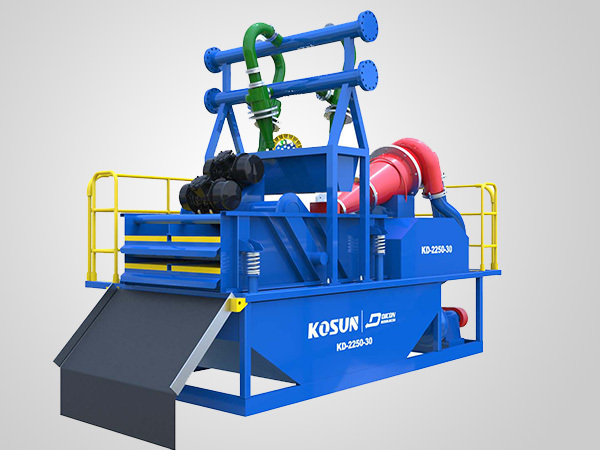 KOSUN green mud separation system mainly consists of scalping shaker module, desanding module and desilting module. As a pre-screener, the scalping shaker can remove coarse particles from mud. The desanding module is equipped with desander (primary cyclones) and fine-mesh shaker and mainly removes granulated sand. The desilting module is equipped with desilter (secondary cyclones) and can conduct a fine separation selectively according to the field needs of customers. Mud closed-loop circulating purification mode and lower water content in slags help reduce the environmental pollution.Wear parts of the system are of anti-corrosion and wear-resistance, long service life and low failure rate, and the system can be suitable for various severe working conditions. KOSUN green mud separation sysytem successfully helped a number of foreign construction site to deal with a large number of construction mud, our customers are very satisfied with the effect of our mud separation equipment,and said they will plan a long-term cooperation with us.KOSUN green mud separation sysytem will not only solve the actual treatment of the construction mud, but also can reuse a variety of materials, helping Project company save cost. Usually, the non-excavation drill is through the open system, in the general through, the amount of mud are more than 3000 cubic meters, and some even reach 10,000 cubic meters. The amount of mud is large, not only increases the cost of mud and land acquisition, the more serious problem is that after the completion of waste mud if not effective treatment, pollution of farmland and water will cause ecological problems. With the enhancement of environmental awareness, it is imperative to develop and use mud purification and recovery equipment. 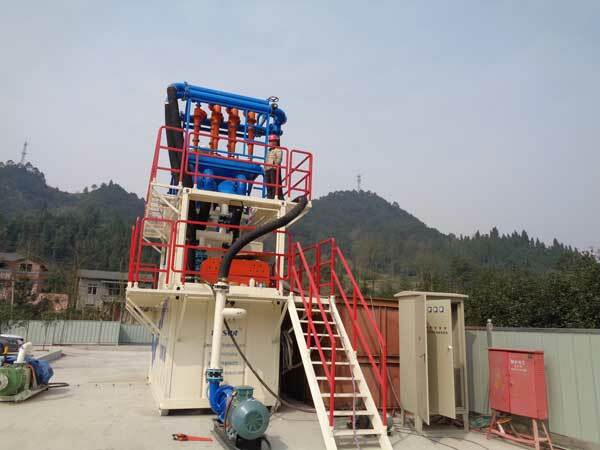 The slurry purification and recovery unit can carry out solid phase treatment of the returned slurry and then recycle it, on the one hand, reducing the amount of mud, reducing the pollution to the environment and reducing the amount of waste disposal. On the other hand, the recovered mud is ” maturity Mud “, the performance is relatively stable,it can reduce the performance instability caused by underground accidents, to ensure the smooth progress of the project. KOSUN was founded in Xi’an China in 1992. Up to now, KOSUN has formed a strategic layout integrating three centers and two industries. The Production, R&D and Domestic Sales Center is located in Xi’an China, the Overseas Project Management Center and International Trade Center in Beijing China and the Oilfield Services and Oilfield Engineering Center in Aktobe Kazakhstan in Central Asia. The two industries are traditional oil drilling solids control equipment manufacturing industry and integrated oil & gas drilling waste management service industry respectively. Mixing and Grouting Plants or Mixing and Grouting unit（Mixing and Grouting Plants stations）are used in separation step during different projections, such as soil nails, tie-backs, soil mixing, jet grouting, grout compaction, vertical tie downs and injection grouting. Slurry obtained from field is not in its pure form. It is usually mixed with particles and different liquids. Thus separation of these component in mixing and grounting plants is necessary. Kosun made system also give App end and PC control end to easily control the whole running. For detailed phares in mixing and grouting plants(mixing and grouting units),the Separation of projection mud is done by the system which is an physical speparation flow. This Separation process is carried out by passing the slurry through an Separation. Mixing is brought in contact with the slurry at this time. High proportions of solids is scattered by shakers. This process can be modified for extraction of specific slurry to increase its effectiveness. Extraction of other heavier slurry is up to 100% with use of this process. However for lighter solids, it is not an ideal process. By the end of this process in mixing and grouting plants, 90 – 95 % of mud is obtained from the slurry stream. Move over, some energy is used to convert slurry from complex components into resuable slurry from by centrifuging it. This decreases the cost associated with extraction of ethane from effluent. Thus separation of slurry from solids in mixing and grounting plants not only makes them pure and clean for use but also helps in obtaining valuable solids itself. Fully understanding of the above detailed information will be hard, its a little bit different with TBM Separation plants or mine tailings treatment plants, but the real application case of the mixing and grounting plants is increasing the numbers day by day, some companies like Kosun from China have paid their attention on the related mechanics research. The performance is good, but still many progress can be achieved in the recent time. in the recent time.